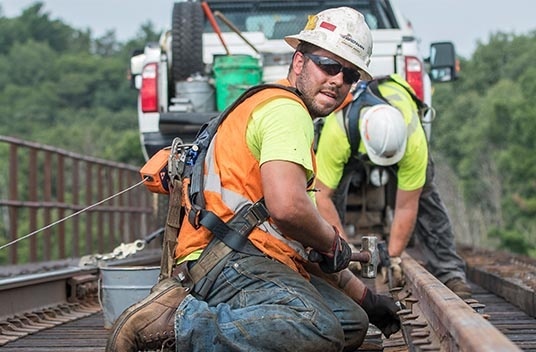 Bridge protection systems are critical to the preservation of railroad structures and the avoidance of critical shutdowns. 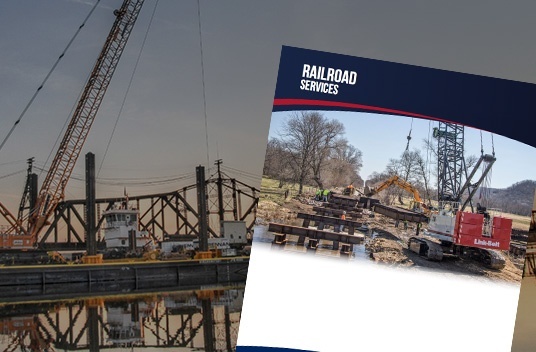 Brennan can facilitate the construction and repair of several types of structures to protect railroad bridges located in navigable waterways. This includes timber cribbing, steel protection cells, and fender systems. In all cases, Brennan can remove the damaged or degraded structure, and install a new one without impeding the maintenance of way. J.F. Brennan Company has been installing timber cribbing structures around critical structures since the mid-1920s. 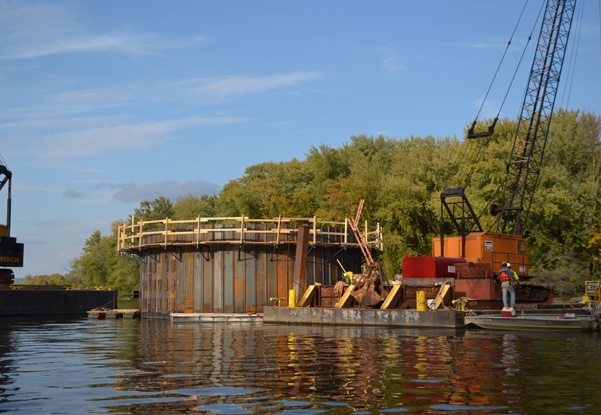 Our crews have the experience and equipment to respond quickly to repair needs along the inland waterway system. In the event of a bridge strike, we can remove debris from the navigation channel quickly to eliminate any hindrances to waterborne traffic. Brennan does this while working quickly to get the maintenance of way back in operation. 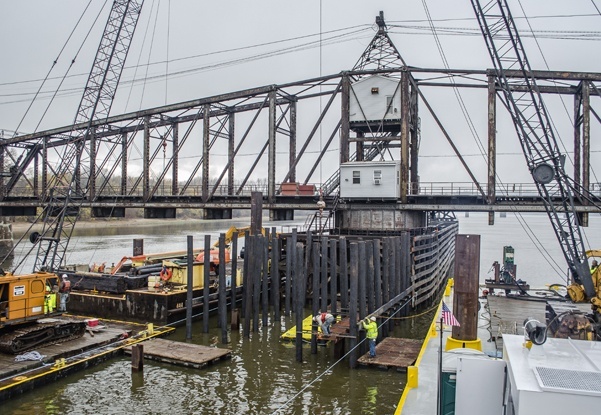 If a bridge strike has left your structure exposed and vulnerable to additional damage, Brennan has the marine equipment to offer temporary bridge protection, including spud barges and helper tugs to provide bridge assists during reconstruction. Protection cells and dolphins are critical components to the structural integrity and safety of bridges that cross navigable waterways. They are often robust sheet pile structures, reinforced with steel and concrete. Whether a full replacement is needed, or minor repairs, Brennan can assist to every extent. Our staff of engineers and experts in the marine towing industry can help develop a bridge protection system that protects your structure and is conducive to the safe passage of marine traffic.